Thank you to everyone that came to our STEAM Expo & 4-H Open House. Special shout out to Scott with Snapology of Atlantic County, Dawn with Pampered Chef, Rosalie with Brilla Learning Academy, Dave & Steve with SJ Astronomy Club, Jeanette with Bravo Performance Studios , Matt with Wastelanders CosPlay, Traci with FAA AvSTEM, Gina Shearer, Bill Rafferty’s discussions on Engineering & Photography, Master Gardeners of Atlantic County, Atlantic Co. 4-H Set program, as well as all of the 4-H club volunteers that gave up their personal time to share their knowledge and skills with our guests. 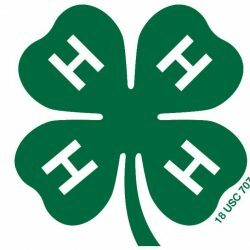 If you missed our event and still want to learn more about the local 4-H clubs, please check tab on this site or contact the Rutgers Extension office at 609-625-0056.